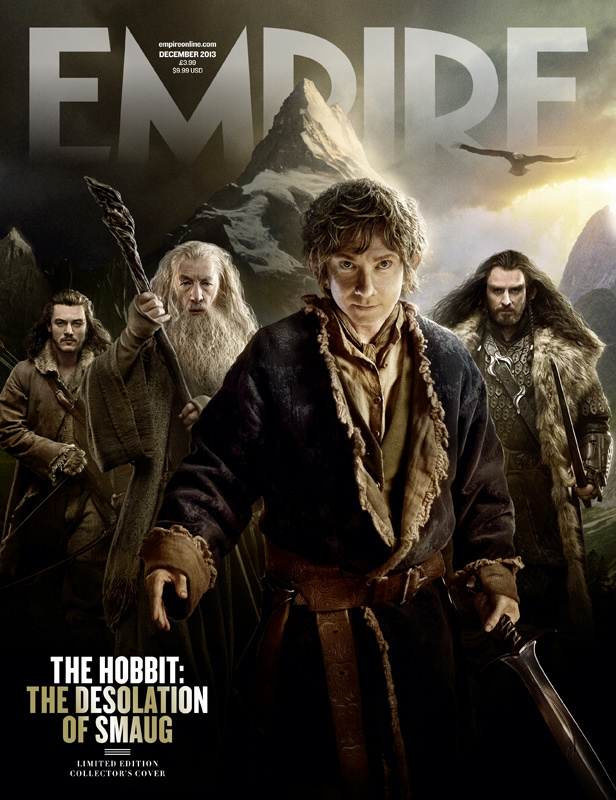 Empire Magazine always seems to get the slickest-looking movie magazine covers. 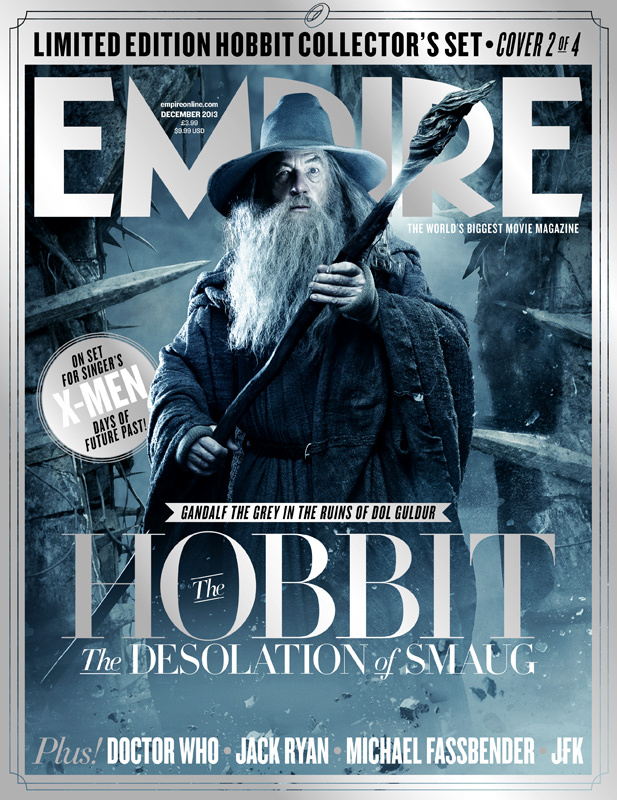 Here's a collection of covers for their upcoming issue featuring The Hobbit: The Desolation of Smaug. They feature Thorin Oakenshield in Mirkwood, Gandalf the Grey in the dark domain of Dol Guldur, Bilbo with Sting as he walks through Smaug's lair in Erebor, and Luke Evans as Bard the Bowman defending Lake-Town from fiery menace.